This year’s ALA Annual Conference was exciting as I represented AASL on ALA Council and served on the ALA Executive Board. While reviewing my notes for ALA Council, I realized that some of these resolutions or actions may not be clear, so please contact me if you have questions about any of the details or wish to share your opinion about future votes. 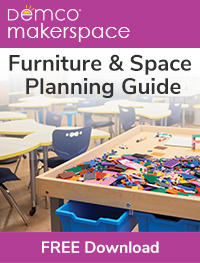 AASL endorsed two resolutions and I was proud to go to the microphone to state this. The two were resolutions were ALA CD#41 Resolution to Honor African Americans Who Fought Library Segregation, and as part of the Committee on Legislation’s report, ALA CD#20.3 the Resolution to Reunite Detained Migrant Children with Their Parents. Both motions passed. urges its members to contact their elected officials at all levels to express their continuing concern regarding the criminalization and separation of refugee families at the border. I stepped to the mic to acknowledge how many school librarians are involved in the Graphic Novel Member Interest Group when the Committee on Organization (COO) requested to turn the Graphic Novel Member Interest Group into a roundtable. ALA CD#27.1 Motion passed. There are many reports and other action items that occurred at ALA Annual. All of the ALA Council action items are listed at www.ala.org/aboutala/governance/council/council_actions, and you can find every document for 2018 Annual and Midwinter at www.ala.org/aboutala/node/3868. 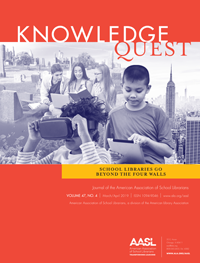 The American Libraries magazine reports daily the highlights of Council. Here are the links to their coverage: Council I, Council II, Council III. 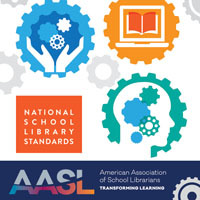 One area that is currently in the news centers around the reports (ALA CD#19.3-ALA CD#19.8) from the Intellectual Freedom Committee Chair Helen Ruth Adams, an AASL member. There is a motion currently being sent to the executive board to rescind the vote taken on CD#19.6 Meeting Rooms: An Interpretation of the Library Bill of Rights, as outlined on pages 22-23. Council has the ability to act throughout the year electronically. Many voices are being shared regarding the meeting room interpretation and the first amendment rights of all groups including hate groups and hate speech to use public library facilities. Your input is always valued. What one thing do you think is most important for ALA to do to improve its effectiveness? If the American Library Association did not exist today, what would we create? A consultant is being hired to continue the work on organizational effectiveness and a space will be established soon on ALA Connect for more discussion. Please do participate because your voice is important. If you have responses to these two questions, I am happy to forward them along. Simply email me at dianerchen@gmail.com. Thank you for the privilege of serving another year as your division councilor.